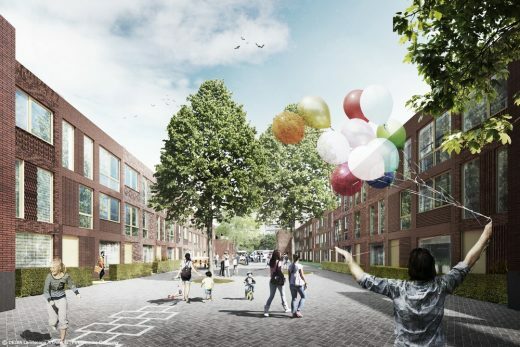 Team DELVA Landscape Architects / Urbanism – Powerhouse Company wins Parkstad Rotterdam. 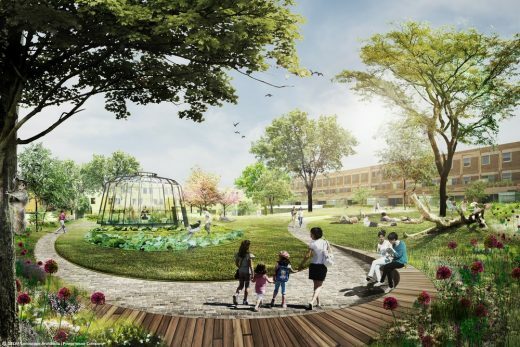 Team DELVA Landscape Architects and Powerhouse Company, commissioned by Stevast Baas & Groen and Syntrus Achmea, has won the tender for Parkstad in Rotterdam (the Netherlands). 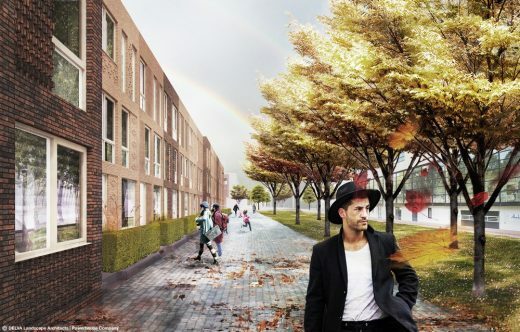 The design for 250 owner-occupied and rental dwellings around three unique urban parks in Rotterdam South, combines urban and contemporary design with the historic charm of the Afrikaanderwijk. 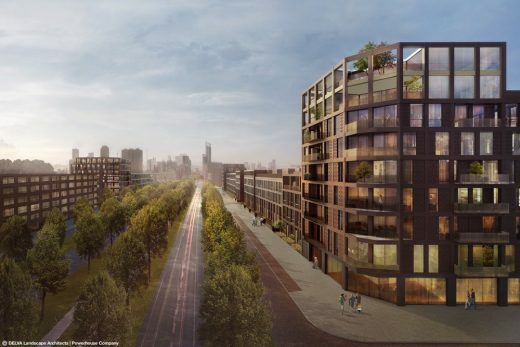 Three new city blocks with a total area of 23,000 sqm on the Laan op Zuid avenue will be realized. Parkstad has been designed as a low-density neighborhood, which will largely consist of dwellings. 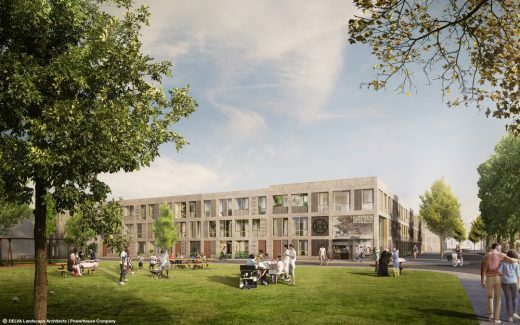 Parkstad will blow new life into the area and provides a place for young families from the city. 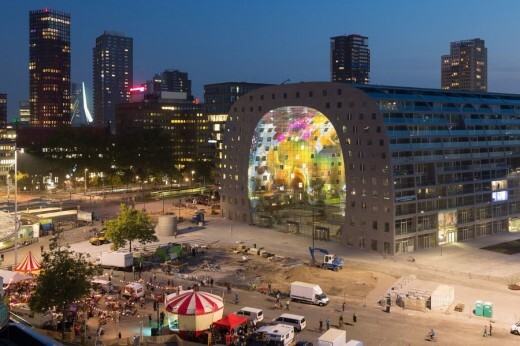 The design introduces a new city block typology for the city of Rotterdam. From a historical analysis and current housing needs of young families in the city a typology arises where safety, collectivism and housing quality are key. On the site three “super-sized” city blocks are placed with major collective parks in the heart of each city block. Dwellings situated around these parks have their own private outdoor space. It thus combines the best of both worlds. The city parks are equipped with undulating landscapes with trees, vegetable gardens and play areas for children. The materialization of the buildings consists of wood, brick in subtle colors ranging from yellow to red. To the detailing of the brickwork of the buildings, rich details are added referring to the brick detailing the Afrikaanderwijk. Construction of the first houses will begin in 2018. Completion is expected late 2019, early 2020.